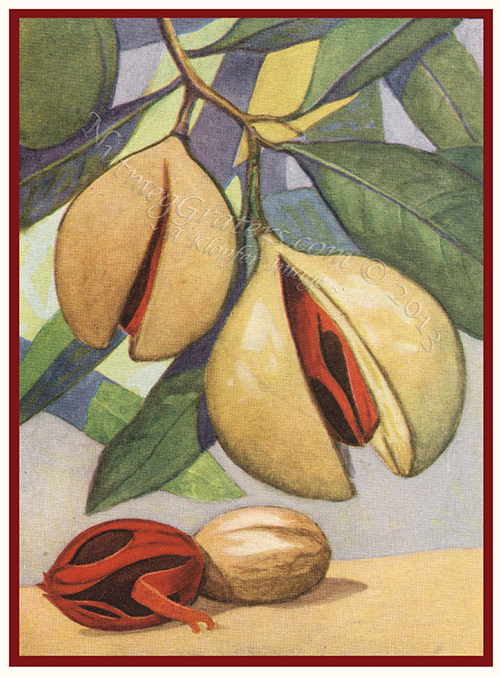 PRINT ENTITLED: NUTMEGS - the whole fruit, the mace covering the nut, and the kernel, which is the "nutmeg" proper. SOURCE: The Encyclopedia Of Food. PUBLISHER/EDITOR: Artemas Ward, New York, New York. 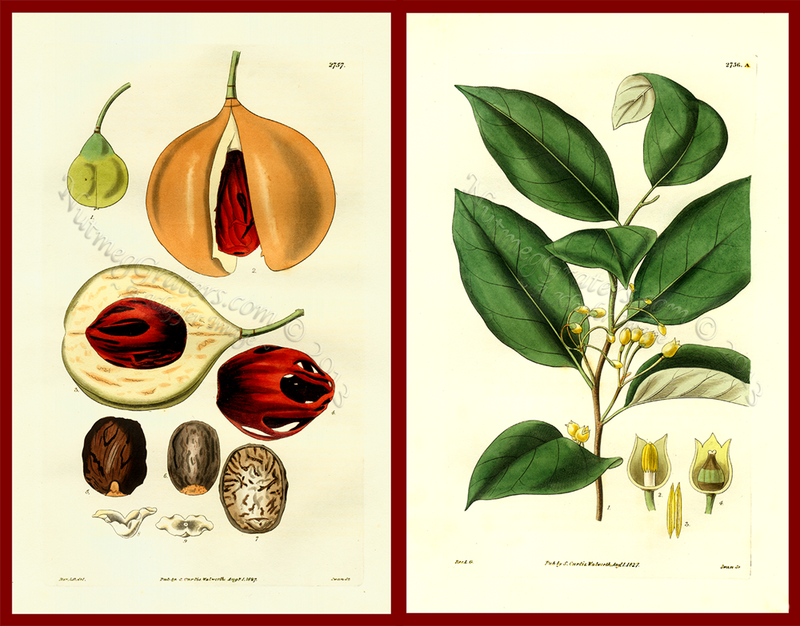 SCOPE AND PURPOSE OF PUBLICATION: This is an illustrated food dictionary. PAPER TYPE: Heavy weight bond paper. 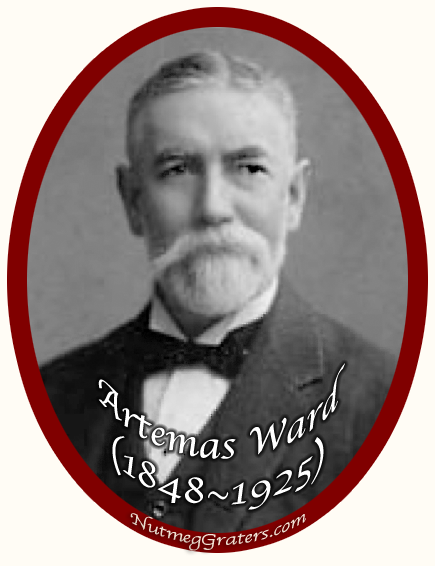 HISTORY: In the 1880s, Artemas Ward (1848~1925) was editor of The Philadelphia Grocer and The Grocers' Hand-Book And Directory For 1886 (Philadelphia Grocer Publishing Co). Ward became a very successful business entrepreneur. He retired in 1910 to pursue his hobbies in the study of food. Ward published his The Grocer's Encyclopedia in 1911. His later revised version, The Encyclopedia Of Food references thousands of foodstuffs, to include nutmeg. The 1923 text contains 596 pages, 71 brightly colored plates and countless black and white images. The Encyclopedia Of Food (1923) is a lavish dictionary of food names known for its beautiful illustrations and became a standard reference in libraries and institutions of higher education of which there are several reprinted versions. While The Grocer's Encyclopedia was a text marketed only to "Grocers and General Storekeepers." The Encyclopedia Of Food was marketed to the general public.